This year has been inundated with swimming, cancer, military, cancer, schedules, cancer…you get the picture. Life has been crazy busy and annoying. I decided I needed something else to think about and joined in for ACuppaKim’s 4th Annual Mug Swap. 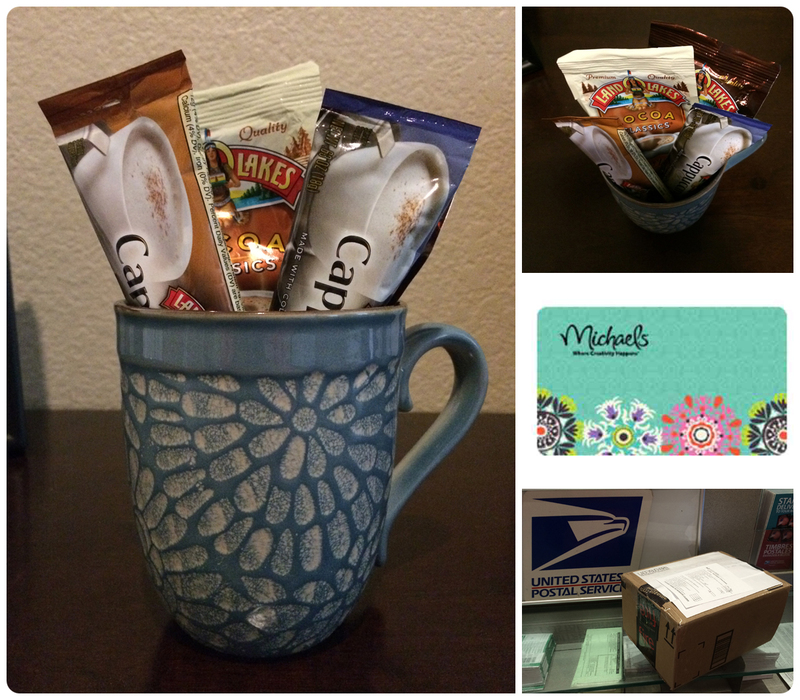 The concept is simple….send a mug, receive a mug. But it truly is something more than that. Give a blessing and possibly make a new friend in the process. Get to know someone outside your “circle”. Make a stranger smile. I had the privilege of sending to Elizabeth who lives in gorgeous, Colorado. When you sign up, you fill out a little form with tidbits about you and to be honest, I had absolutely ZERO clue what her “style” actually meant. I definitely don’t claim to be “in the know” for fashion/styles. Now if you want to know the best competition swimsuits out there, I can probably help you. :-) So, I took a guess. Hopefully an educated guess. She is a believer like me, so I went that route (there is a verse inside the mug, Neh 8:10) . In my chemo brain fog, I went off and left the gift card on the counter, so I had to email that part. Couldn’t leave a little crafty fun out of the mix. A day or so after I shipped my partner’s box off, mine arrived. It tauntingly sat on my counter for a day, because I didn’t want to open it until I had time to properly say thank you. 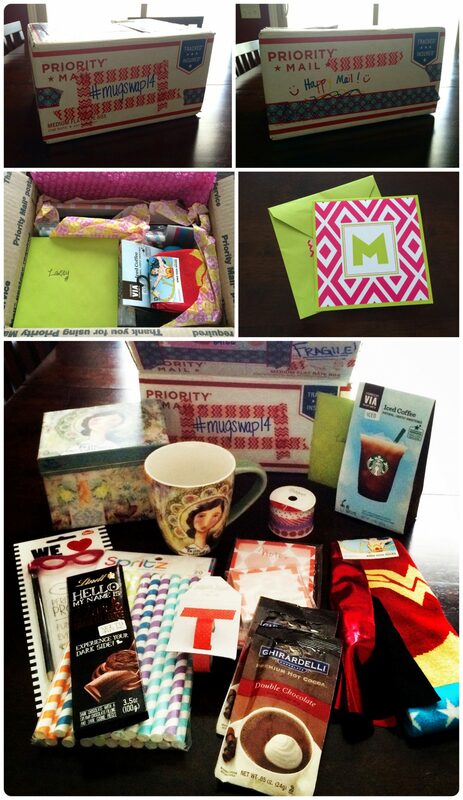 Melinda sent an absolutely above and beyond package, along with a sweet note. What has stood out most to me, even among the fantastic goodies though, was the fact that she has been praying for me and my chemo journey. Me, a total stranger. I have really enjoyed getting to know a little bit about her now (swim momma’s unite)! Thank you Melinda for the utterly wonderful package and prayers! Thank you CuppaKim for hosting! I can’t wait until next year!